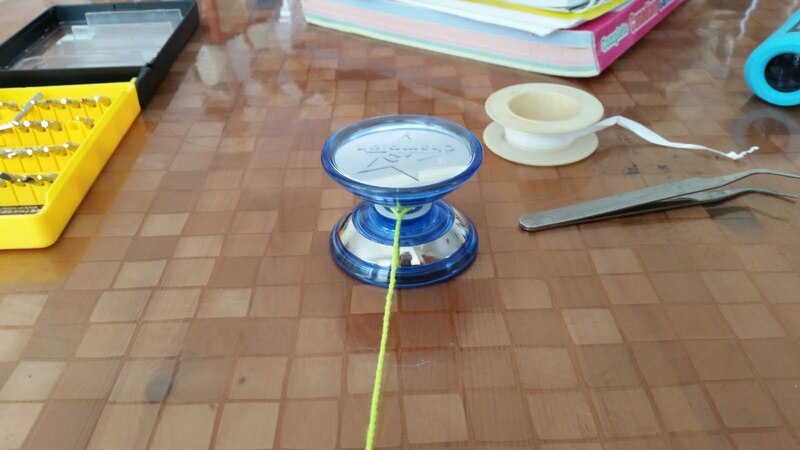 I used to be pretty good with a yo-yo when I was a kid, so I was pretty excited when my 8-year old wanted to learn. 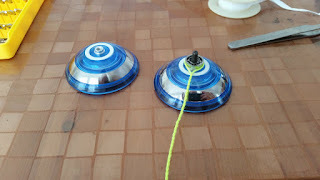 Well, it turns out that yo-yo's ain't what they used to be... My wife ordered yo-yo's online for everyone in the family and when they arrived, I couldn't wait to show off my stuff. The yo-yo would sleep... and sleep... and sleep. I opened it up and discovered they all had bearings in them. I scanned through a dozen or so YouTube videos for advice on how to make them more responsive. 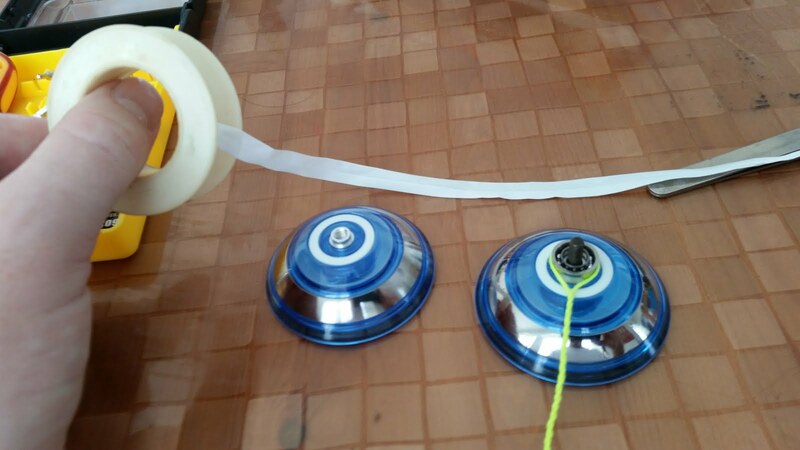 Some people suggested jamming the string in between the bearing and one of the faces of the yo-yo. That way, it won't sleep at all. Another suggested looping the string multiple times over the bearing. That should make it a bit more responsive. It didn't work well for ours. 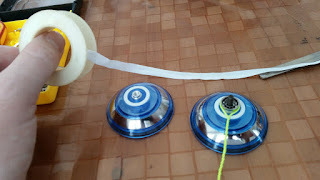 I just wanted a traditional yo-yo, but I didn't want to use any adhesives, in case I want to try my hand at using it as a non-responsive yo-yo later on. The simplest solution? Plumber's tape, also known as thread seal tape It works great. Everyone probably has some at home. It isn't sticky. And it only took a couple of seconds. 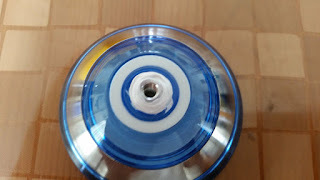 Grab a length of tape. 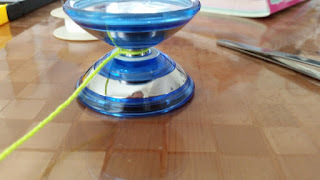 Wrap it around the bolt hole on the face of the yo-yo. Tuck it in nicely so it won't get in the way of the string (I used a pair of tweezers). Screw it back together. Done! 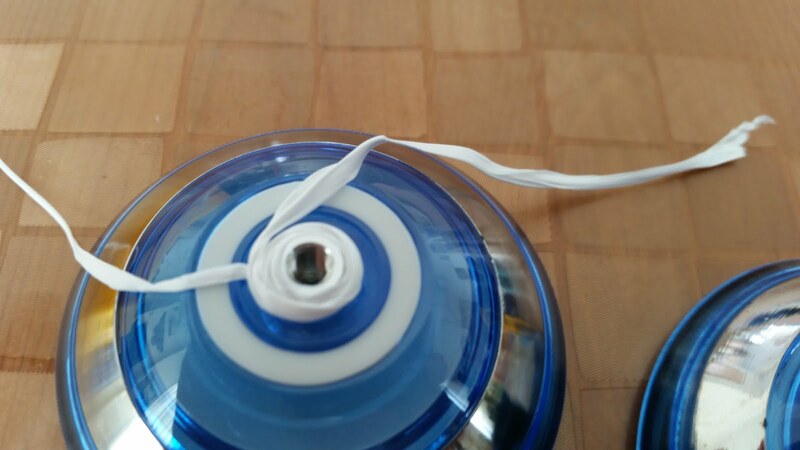 The tape is so fine that it is easily tucked out of the way and won't increase the size of the gap when you screw the sides back together.